According to the research firm Markets and Markets, the Augmented Reality (AR) market will grow to nearly $61.4 billion USD by 2023. Although this figure represents growth across all industries, manufacturing is one of the areas that will lead the charge into this new field of technology. We are seeing evidence of early adoption on the part of both machine builders and end users. Early pilots of new augmented reality tools are blurring the lines between the physical and digital worlds to enhance the user experience. Benefits like reductions in maintenance costs, increased production efficiency and uptime improvements are also beginning to accrue. The application of AR to machine maintenance is particularly compelling. When employing traditional approaches, maintenance personnel spend 50% of their time during a maintenance call researching information required to fix the issue. Consequently, they devote only 50% of their time actually working on the equipment. An AR approach to machine maintenance directly addresses this issue. AR tools allow an operator or maintenance technician to access any information related to a machine on the factory floor via a common iOS or android tablet or smart phone device. Information is captured from multiple sources and devices and is superimposed on the real-world environment (see illustration below). Any information regarding the particular machine—catalogs, wiring diagrams, manuals, troubleshooting steps and procedures—is made available to the operator. This instant and easy access to relevant information helps to reduce operator and/or technician error. When an operator is performing a specific task, a step-by-step set of instructions (this feature will be available in near future), for example, appears on the screen, reducing, the time and cost of the maintenance activity. Relevant information is now available outside of the control room and is passed along digitally so more time is spent on the actual maintenance activity. Ultimately, downtime is reduced as machines are up and running faster. Most machine builders want the flexibility of building their own software and applications. 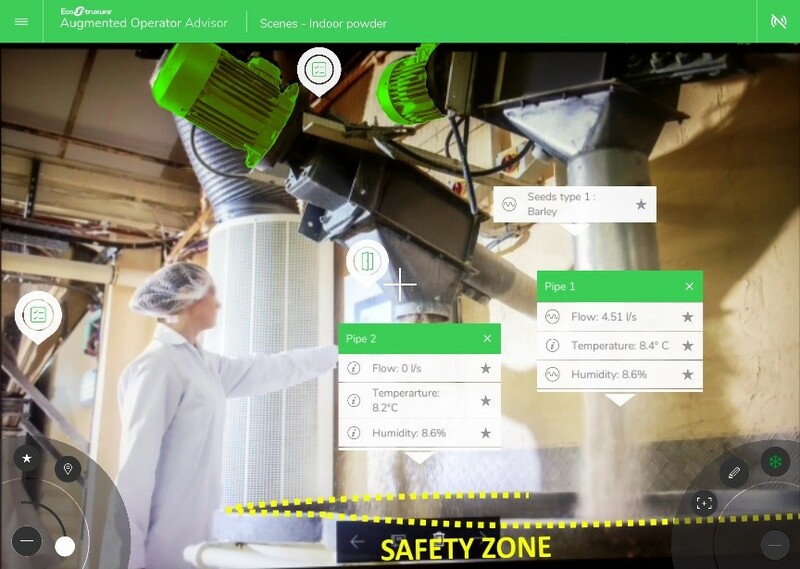 The new AR offer from Schneider Electric “EcoStruxure Augmented Operator Advisor” offers them the capability of building augmented reality interfaces into the machines they build. This opens the door for providing modernized maintenance services to their end users using augmented reality tools. For example, when a machine builder uses the software “EcoStruxure Augmented Operator Advisor Builder”, they can create their own augmented reality projects including “points of interest” within their machines. By taking photographs inside of the machine of these points of interest, they begin to link these to the tablet portion of the application and, in essence, build-in an environment that allows for what is called “context sensitivity.” When this picture-based information is linked to the machine builder’s service bureau, a virtual “over the shoulder” service can be provided for the person on the floor who is attempting to resolve the maintenance problem. The expert at the Service Bureau can walk the on-site end user through the process as they both refer to the same set of images. As a result, machines are up and running more quickly and the machine builder avoids having to bear the expense of dispatching an expert on-site to perform the fix (this feature will be available in near future). As a result, machine builders can create a unique augmented reality solution for each of their machine types. They can then ship their machines to their customers as “AR ready”. 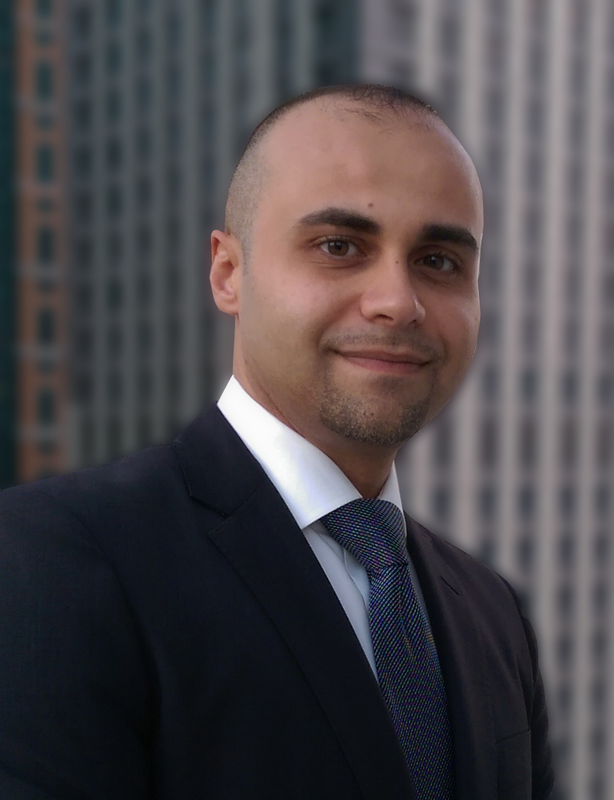 Since the tool is product agnostic, many sources of information can be integrated into the tool so that the AR capabilities can be exercised in mixed vendor equipment environments. To learn more about how augmented reality tools can help to streamline both machine building and manufacturing line processes, click on the Schneider Electric “EcoStruxure Augmented Operator Advisor” web page.